Once you’ve established a relationship with a local children’s dentist, it can be easy to follow the routine of taking your child in for his or her teeth cleaning every six months. There are times, however, when circumstances warrant bringing your child into the office in between regular dental exams. When and if the time arises, the friendly staff and dentists at Alligator Dental in San Marcos and Seguin are happy to see you and discuss any pressing concerns. 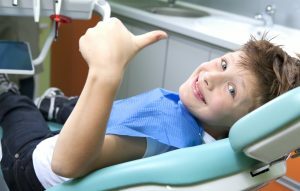 In addition to preventative exams, we offer emergency dental care and restorative dental care for children of all ages. Check out some common concerns below, then contact us today to learn more! It can be normal for children’s gums to bleed every once in awhile as they learn to establish proper oral hygiene and brushing techniques. However, if your child complains of his or her gums bleeding regularly, or you frequently see blood in the sink after he or she has brushed, it may be a good idea to contact your child’s dentist. Gums that bleed frequently can be a sign of gum inflammation, infection, and/or more serious diseases. If left untreated, many infections can spread to the jaw muscles, causing painful swelling that can impact your child’s ability to eat and drink properly. Anything from a canker sore to a cavity can cause your child to wince in pain as her or she eats and drinks. If your child ever complains of oral pain, this should not be taken lightly, especially if it is a common occurrence. Oral pain can be indicative of an infected tooth, a cavity, or inflamed oral tissue. It can be tempting to grab a flashlight and try to locate the source of the pain yourself, however, it’s better to call your child’s dentist to determine if x-rays or other diagnostic tasks should be performed. Many times, a tooth infection or cavity may go unnoticed if there is no accompanying pain, sensitivity, or bleeding. If you’ve noticed that one of your child’s teeth is darker than the others, or has some other kind of discoloration, this may be a sign of tooth infection. In addition to infection, teeth that have suffered some sort of trauma may also become discolored over time. Regardless of whether it’s time for your child’s regular teeth cleaning, if you notice he or she has a discolored tooth, try to get an appointment scheduled asap to determine the cause of the discoloration. 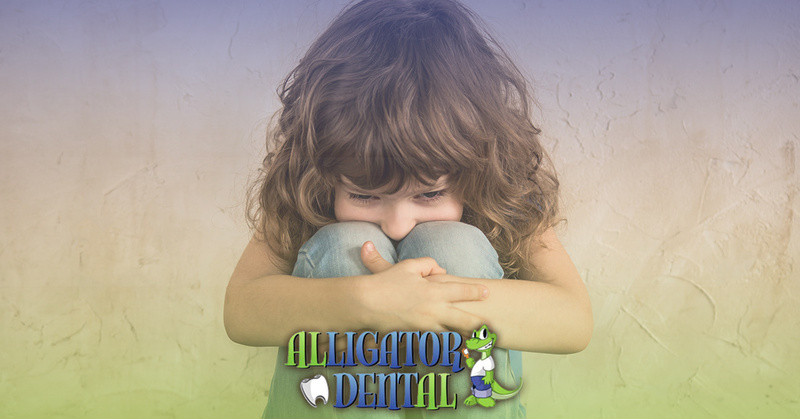 At Alligator Dental, we believe that an ounce of prevention is worth a pound of cure. If your little one has any of the complaints above, or others that seem concerning to you, contact us right away. For dental emergencies, we have on-call emergency care and have an open clinic walk-in policy between the hours of 7:45am and 9:45am on regular business days. Check out details related to the emergency and restorative care we provide here, then contact us to schedule your appointment today!